Saitama University has the “International House,” a residential facility for international students. 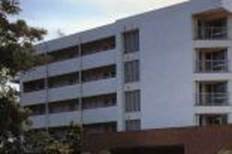 However, the International House does not presently have sufficient capacity for all the international students, so approximately two-thirds of such students have to find accommodation themselves. Applications to staying in the International House are accepted in July (moving in October) and January (moving in April). For those wishing to move in International House, please forward application to the Office of Faculty which you belong. Since the number of rooms is limited, you may not be able to move in, even though you submit the application. Allowed residence period is maximum one year. 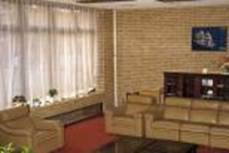 A room is furnished with a desk, chair, bookshelf, bed, closet, telephone, refrigerator, cupboard, dining table, dining chair, gas water heater, cooking stove, sink, suspension cupboard, air conditioner, shoe cabinet, curtain, etc. Application details will be announced when we start accepting applications. [Reference] Room rent of International House for student (as of April 1, 2016). In many cases in Japan, a “Joint Guarantor” is required when you enter into a lease agreement for an apartment, and so forth. The “Joint Guarantor” is a person who will be responsible jointly with the lessee (an international student, in this case) for debts to the lessor. In Japan, people generally ask for a family member to become a joint guarantor. International students who have difficulty finding a joint guarantor by themselves can apply to Saitama University to be a joint guarantor. Saitama University can be your joint guarantor only during the period in which you are validly registered with the school. Please note that a joint guarantee will be canceled when you lose your school registration due to graduation, or withdrawal and/or expulsion. Enrollment at the Saitama University as a degree seeking student. There is no unpaid balance for tuition. Those who can comply with that is described in a written pledge. A property is owned by a landlord or management company which can accept an Apartment Tenancy Guarantee, instead of a clause regarding a joint guarantor in the agreement. 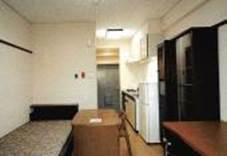 A contracted property is located within a roughly 2-km radius of Saitama University. If a roommate is a foreigner, he or she must have the resident status of “Student”, and has enrolled in Comprehensive Renters’ Insurance for Foreign Students Studying in Japan. Inform a real estate agent that you would like to use the university’s institutional guarantee as a joint guarantor to execute an apartment lease agreement. Bring the agreement, student identification card, and resident card to the Office of International Affairs, and fill out the application form for Institutional Guarantee. Then, have an interview with a student counselor (counseling time 12:00-16:00 p.m.). Pay the insurance fee at a Lawson convenience store after the interview. Bring the receipt to the Office of International Affairs. Receive the Apartment Tenancy Guarantee and the agreement at the Office of International Affairs two to three days later, and take them to the real estate agent.